Oriental Hotel, Kobe, c. 1910. 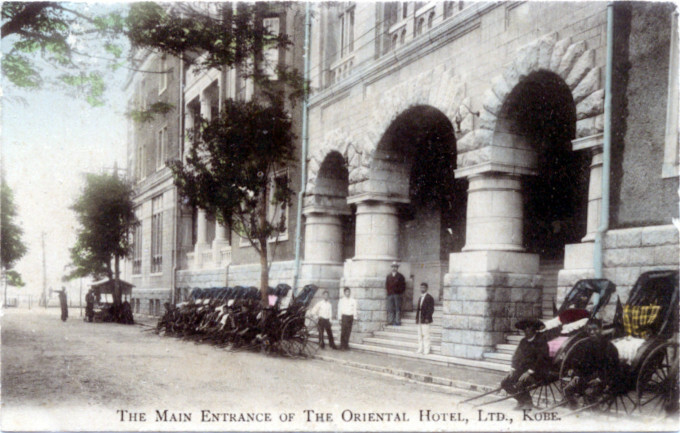 Oriental Hotel, Kobe, main entrance, c. 1910. “A house where you can dine … Do not merely feed you … If the Pioneer were a medium for puffs, I would write a leading article upon your potato salad, your beefsteaks, your fried fish, and your staff of highly trained Japanese servants in blue tights, who looked like so many small Hamlets without the velvet cloak, and who obeyed the unspoken wish. No, it should be a poem, a ballad of good living. Oriental Hotel, Kobe, main foyer, c. 1910. 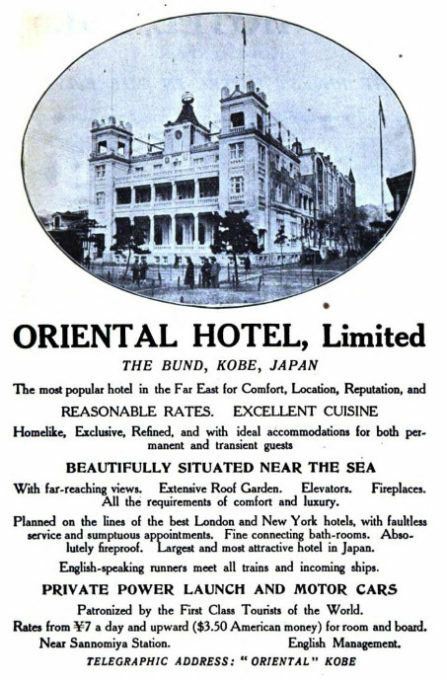 Oriental Hotel advertisement, c. 1905. From the wiki: “The history of the Oriental Hotel began in 1870, shortly after the opening of Kobe Port. The first advertisement for the Oriental Hotel appeared in the Hiogo News, a local English-language newspaper for foreign settlers, on August 3, 1870. 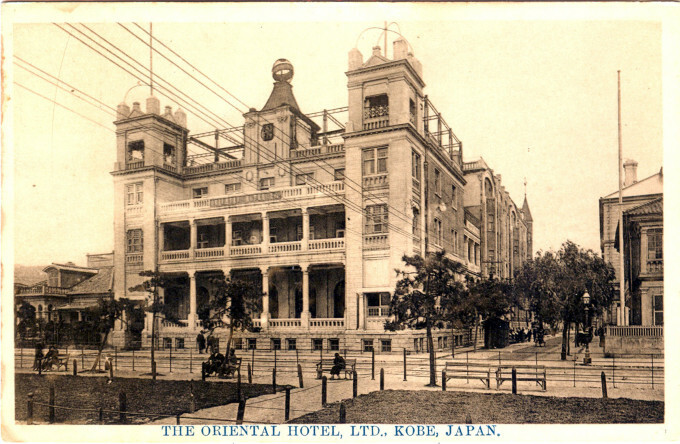 The proprietor of the hotel at that time was a former Dutch naval physician Gerardus van der Vlies, who listed it only in the Japan Directory of 1879. 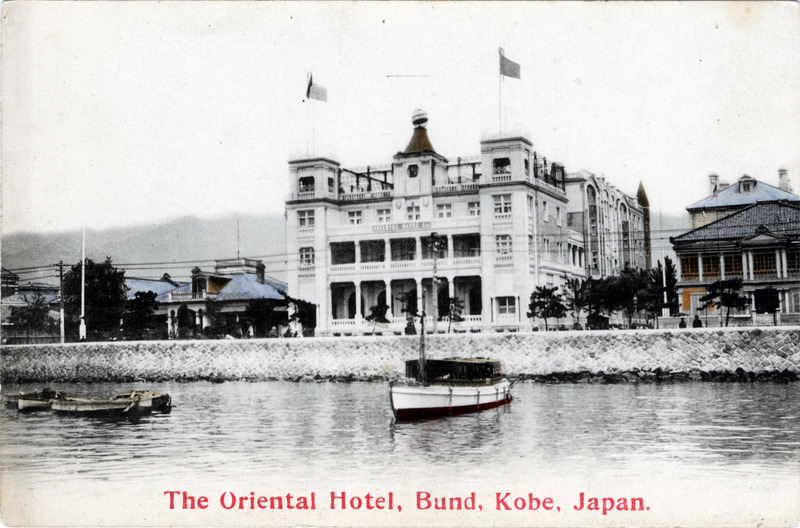 Oriental Hotel, on the Bund, Kobe, c. 1905. 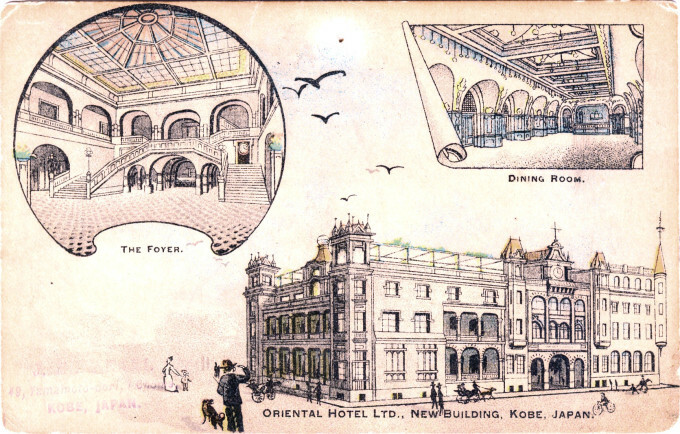 Oriental Hotel, Kobe, c. 1905. Original structure. 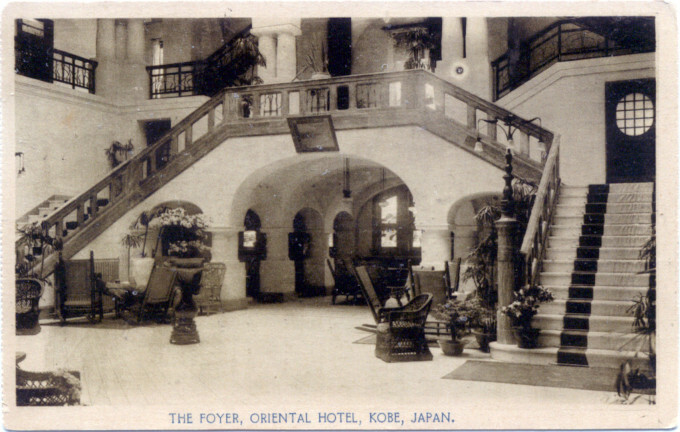 Oriental Hotel, Kobe, after expansion, c. 1910.